WHY IT WORKS: LET’S SEE, it’s sticky, it’s sweet, it’s savory, it’s glazed, it’s juicy and IT’S YUMMY! 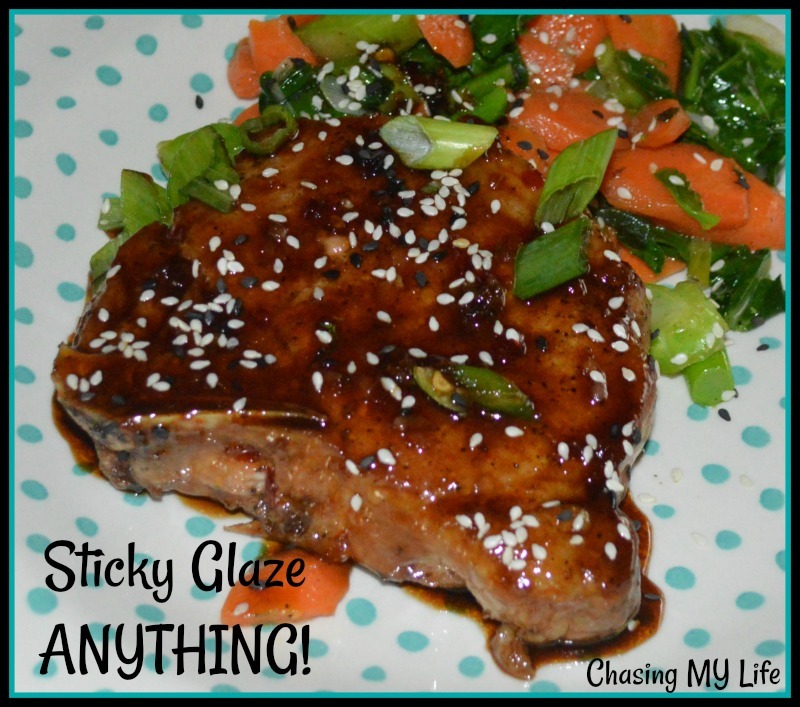 Oh AND the glaze works on pork, chicken, beef and veggies too! It’s also quick and easy, but looks like it was super involved. Heat avocado oil over medium high heat in cast iron skillet. Season your protein. If using vegetables, season and saute’ just until beginning to soften. Generously season your protein of choice. Sear your choice of meat 3-4 minutes per side, set aside and keep warm. Add sweet chili sauce, Bragg’s amino acids, honey and 1 tablespoon of water to pan, whisking combine. Bring to a SLOW boil and then immediately reduce to a simmer. Add protein or veggies back in and coat well with sauce. Turn frequently and cook until glazed well and sauce has thickened.